Around the World | College is…….. This week has been pretty hectic. Along with midterms throughout the week, I have been pondering the idea of studying abroad. Since I know absolutely nothing about studying abroad I decided to ask my roommate, who just happens to be an exchange student! I had a lot of questions for her such as what are the fees associated with studying at a different school? It turns out that this question gave me a really idea for my blog post this week. Have you ever wondered how the college system works in other countries? Are Americans the only people that complain about the high cost of college? My roommate told me that college is very different in Denmark. Yes, they teach classes in English: However, almost all the colleges are public, which means tuition is paid for by the government. From what I can gather, she doesn’t pay tuition for college, instead she receives a sum to cover expenses such as books, rent, groceries, etc.…. now I’m really starting to feel bad for my wallet. 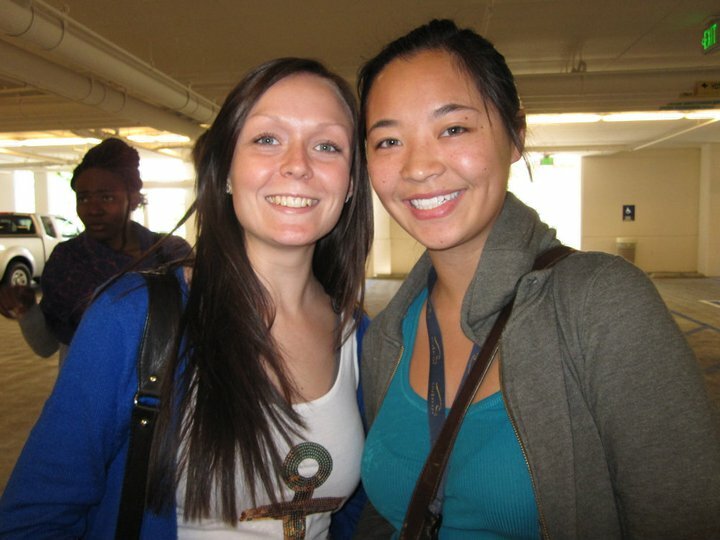 Earning a degree abroad can be extremely beneficial. As I mentioned before the fees at International universities are usually much lower in tuition. Take a look at some more examples. You may think that American universities have a better education, but surprisingly that’s not entirely true. 4 out of 10 of the top universities in the world are not American universities! 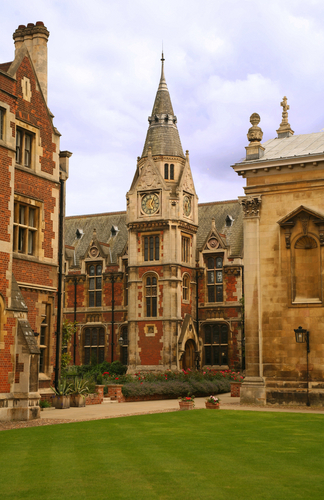 Colleges such as Oxford and University of Cambridge have developed World renowned reputations. If you plan on attending Graduate school it may be a good investment to go abroad because usually undergraduate and graduate school are combined. So let’s say you want to be a doctor, you would major in medicine, and when you finish school, practice right away (so you better like your school/major from the very beginning). All this sounds great right? So now the question is with tuition so high at American universities, why shouldn’t people consider international universities? But now we have to remember that as Americans going to college across the world can get pretty costly especially if you have to pay International student fees. You’re probably going to get ripped off on a cellphone plan and there’s also the possibility of a language barrier (not all schools teach in English). Yes, you’ll probably save a couple thousand in tuition (at least until US hasn’t gone through massive inflation), but you’re also probably going to have to set aside a couple thousand on airfare alone. Canada is the exception though. Tuition is cheaper at Canadian schools, and sometimes can be even closer to home. Canadian universities have become increasingly popular so I wouldn’t bet on fees staying low for long. I’m starting to understand why people decide to attend college in their home country now. There’s much more convenience. How’s mom going to send you a care package when you’re so far away or give you money? There are colleges all over the United States so you’re bound to find one close to home……or far away if that’s what you’re searching for. You’re also going to have to buy all new electronics if you study internationally, unless you buy a plug converter. So even though it seems completely unfair that other countries have low or no college tuition and comparable schooling, it might not worth having a completely different college schedule from your friends at home, paying for the extra airfare and having to study so far away from home. I guess we still have to getting sports scholarships instead. This entry was posted in Uncategorized and tagged abroad, college, finance, global, higher education, international studies, tuition, University of Cambridge. Bookmark the permalink. We looked into studying abroad for this summer but money didn’t give us room for her. We are hoping and planning carefully to see if maybe we can go next summer. I think it will be a valuable experience. Definitely!I’m trying to go abroad myself 🙂 There’s always study abroad scholarships that can be an option. Studying abroad is a great experience and well worth the cost. Just make sure to pick a good season! Hi there! I simply would like to give you a big thumbs up for your excellent info you have got right here on this post. I’ll be returning to your website for more soon. Aw, this was a very nice post. Finding the time and actual effort to create a great article… but what can I say… I procrastinate a lot and don’t seem to get nearly anything done. An outstanding share! I’ve just forwarded this onto a coworker who has been conducting a little research on this. And he in fact bought me dinner due to the fact that I found it for him… lol. So let me reword this…. Thanks for the meal!! But yeah, thanx for spending the time to talk about this issue here on your site. I seriously love your blog.. Pleasant colors & theme. Did you create this site yourself? Please reply back as I’m planning to create my own site and want to know where you got this from or what the theme is called. Thank you! Hi There! Thanks you for the kind words! My blog was created using WordPress and the theme I chose was Twenty Ten. The theme is one of the free ones. Thanks for reading! Good luck with your site! Oh my goodness! Impressive article dude! Thank you so much, However I am experiencing issues with your RSS. I don’t know the reason why I can’t subscribe to it. Is there anybody having the same RSS problems? Anyone that knows the solution can you kindly respond? Thanks!! Hi, I do believe this is a great web site. I stumbledupon it 😉 I will come back yet again since I book marked it. Money and freedom is the greatest way to change, may you be rich and continue to guide others. Next time I read a blog, Hopefully it won’t disappoint me just as much as this one. I mean, Yes, it was my choice to read, but I actually thought you’d have something interesting to say. All I hear is a bunch of complaining about something you can fix if you weren’t too busy seeking attention. I blog quite often and I genuinely thank you for your content. The article has truly peaked my interest. I will bookmark your website and keep checking for new details about once per week. I opted in for your Feed too. You ought to be a part of a contest for one of the most useful websites on the web. I’m going to highly recommend this web site! Next time I read a blog, Hopefully it doesn’t fail me as much as this particular one. After all, Yes, it was my choice to read, however I genuinely thought you’d have something helpful to talk about. All I hear is a bunch of moaning about something that you can fix if you weren’t too busy looking for attention. Having read this I thought it was really enlightening. I appreciate you taking the time and effort to put this article together. I once again find myself spending way too much time both reading and leaving comments. But so what, it was still worth it! Awesome issues here. I am very happy to look your post. Thank you a lot and I’m looking forward to contact you. thank you for the kind words! I will kindly answer any questions. Thank you so much for the kind words! I hope you enjoy! Hi there! thank you for commenting! WordPress is a free and easy way to start a blog. I chose it mainly because it had all the features I needed and it’s so easy to use. It really depends on the type of blog you want to start. If you’re mainly looking to be more social, I would go with Tumblr. Let me know if you have any more questions!